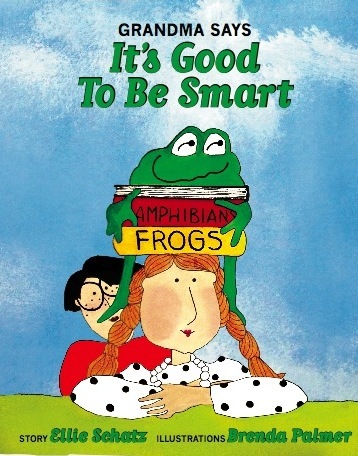 From infancy through adulthood, smart is cool. This past week I got to live what I preach. 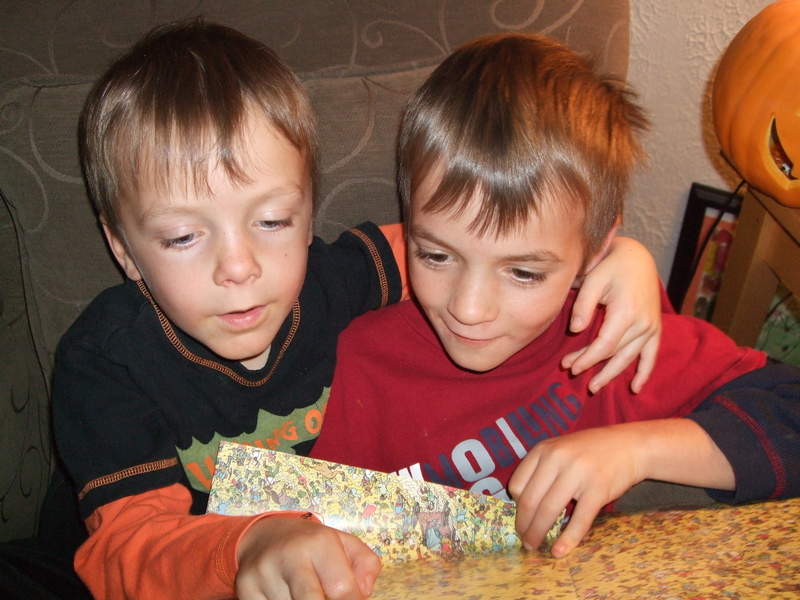 I spent a week babysitting with my two grandsons, and reading was at the core of our activities. The little guy is 5. He says, “Kindergarten is ‘kinda’ easy.” Every night his homework consists of reading a different book that he has selected to bring home. While he read aloud to me, the older brother was to engage in a quiet activity until I could help him with his math. On some nights it was his own reading homework. On others, it was reading a book for fun. Here the two boys have extended fun as the younger boy climbs into the chair and joins in. * Gives children information on a variety of topics. The older boy is intensely interested in frogs and toads, sharks, dolphins, and fish of all kinds. We read several reference books on amphibians and ocean life, some from his school library and other treasures from his personal bookshelf. The younger boy is still 100% into picture books and we had fun with all kinds of stories. One old favorite is “Scranimals” by Jack Prelutsky. We brainstormed our own Scranimals, then drew and made stories about them to add to the book. Two new favorites are “What Animals Really Like” by Fiona Robinson and “Black and White” by David Macaulay. The first is highly imaginative with beautifully complex pictures to read. The latter is a book I bought when I heard David Macaulay speak a few years ago. It consists of four stories that can be read separately but become increasingly blended into one complex story as you read. I was waiting for the two boys to grow into it, and they sure did! * Promotes language development and literacy skills. Both boys are growing into independent reading. The third grader did not learn to read as quickly as other Schatzes in our family, but he was always read to, loved stories, and eventually became the reader I knew he would become. The younger boy craves books. Both have learned that reading can introduce them to adventures, people, lands, and ideas that otherwise they’d never know. * Helps increase attention spans. The photo proves it. What I expected to be at maximum a 10-minute activity, became a long expedition into the imagination. I think I had to peel them from the chair to get back to unfinished homework assignments. * Promotes family relationships. Again, the picture is worth a thousand words. * Raises reading levels. I do think the kindergartner grew several grade levels in reading ability in the week I was with him. His ability to use context and his memory for words once he’s seen them once was a joy to observe. Whatever skill it is we are attempting to master, practice is the key. Practicing reading should never be a chore. I’m so glad both boys are totally delighted when reading a good book. This entry was posted in Children's Books, Early Learning, Early reading leads to later success, Grandma says it's good to read, Growing up smart, Modeling a love of reading, Passion in teaching and learning, Picture books, the habit of reading, Young Children and tagged becoming good at something difficult, children's picture books, learning is fun, pre-k to 2nd grade learners, raising smart children, reading with your little one. Bookmark the permalink.